« December – National Drunk and Drugged Driving Month. Animal Bags. So cute! What is your favorite animal? What is your favorite animal? Dog? Cow? Pig? Tiger? Monkey, Duck? Ever try to associate an animal with someone you know? Mabe help you remember their name? Anyway, these bags are so cute and adorable. 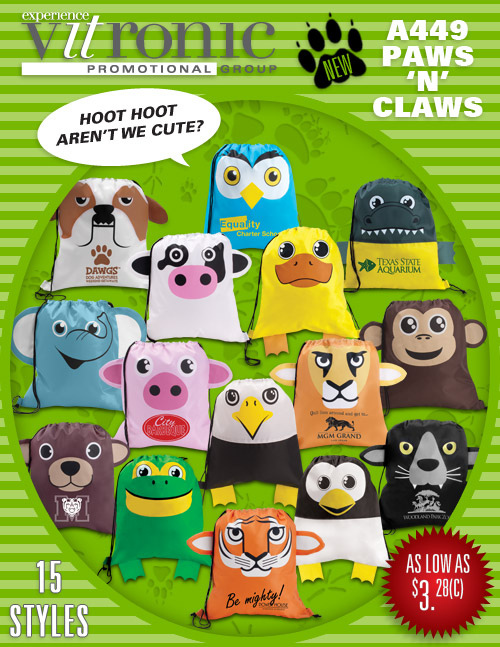 Great for school mascots, events, zoos and more. Which one do you want?